Atty. Rod Nepomuceno, one of the original Solar-9TV Current Affairs pillars, is leaving the network after almost three years. Sources tell Media Newser Philippines that Nepomuceno, who was recently named new co-anchor of Daybreak, has decided to give up his post on 9TV-CNN Philippines to join Manny Pangilinan's latest media venture, Bloomberg TV Philippines. "Bloomberg is offering Rod something that is hard for him to refuse," one of our sources said. "CNN Philippines just can't match that offer." 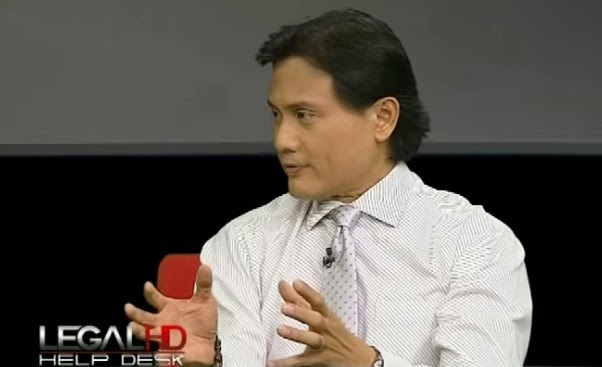 Nepomuceno was instrumental to the success of two of 9TV's current affairs programs, Legal HD and Opposing Views. He was also an occasional substitute anchor on Daybreak — during the Amelyn Veloso and Claire Celdran era — and anchor to some of the network's special coverage including the 2013 midterm elections, where he earned rave reviews. With his departure, we heard that Anthony Pangilinan will take over his spot on a temporary basis, though it might turn into a permanent role if he clicks with viewers according to our sources.